1. 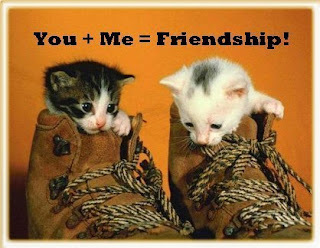 FOCUS ON WHAT YOU CAN GIVE TO A FRIEND, NOT WHAT YOU CAN GET OUT OF A FRIENDSHIP. - If being happy is your only motive for wanting someone to be your friend, then you are not being a real friend. Don't get caught up in keeping tabs on who has given most in the friendship. Give to your friends regardless of how much they give to you. - Real friends inspire and push each other to be the best that they can be, rather than drag each other down. They are happy when other people achieve their goals. 3. BE WILLING TO FORGIVE. - Don't let hurt turn to grudge. This is one sure way to destroy a friendship. Forgive your friend and move on. 4. TACTFULLY POINT OUT THEIR MISTAKES. - This is one way to show concern for others. If you really care, you will tactfully point out a specific example for his own good. But once you've brought the problem to your friend's attention, don't harp on it all the time. Don't walk away from a friendship when you see some of your friend's faults. Be patient with a friend as he or she tries to change. Realize that nobody is perfect. - When you say you are going to be there, be there. 6. DON'T TRY TO CONTROL YOUR FRIENDS. - Real friendship does not mean you always have to be together. It may be tempting to have a fun person all to yourself, and feel threatened when your friend spends time with others. If you are afraid to let your friends out of your sight, you are probably afraid of losing them. 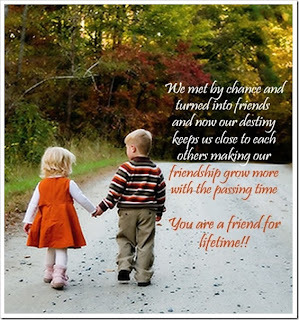 Good friendship will endure time spent apart. You and your friends may learn to appreciate each other even more. 7. BE THERE FOR THE GOOD AND THE BAD TIMES. - Celebrate with them if your friends are excited about something. But don't be there just for the good times. When your friend is upset about something, give them your full attention. Most of the time, what friends really need is a sympathetic ear, someone who understand their feelings. 8. LEARN TO ACCEPT PERSONALITY DIFFERENCES IN YOUR FRIENDS. - Be careful not to evaluate other people by how you react in a particular situation. Do not automatically take your friends' behaviour personally. 9. DON'T BE A BLABBERMOUTH. - Learn and be willing to keep each other's secrets. 10.DON'T LET ARGUMENTS DESTROY YOUR FRIENDSHIP. - Suppose you're having a discussion with a friend and after you've said what you think is true, they still disagree. Don't keep arguing until you get mad with each other. Just drop it. Your desire to win the argument may ruin your friendship.